This guide will help you install SM Cool Slider step by step. 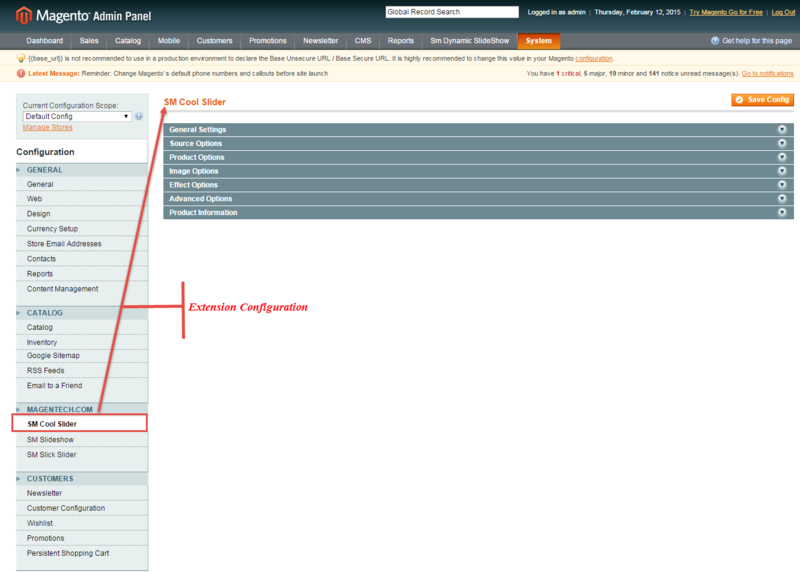 After installing, go to System -> Configuration and find SM Cool Slider(in the left of column) to configure. 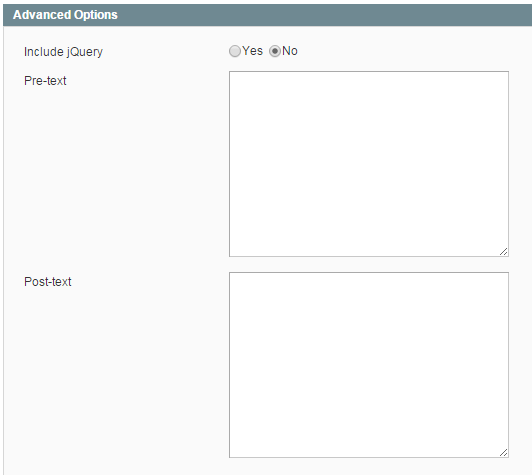 Display Title – Allow to show title of module OR not. Title – You can enter title of module here. Show Control – Allow to show control: Show/Hover/Hidden. Show Content – Allow to show content OR not. 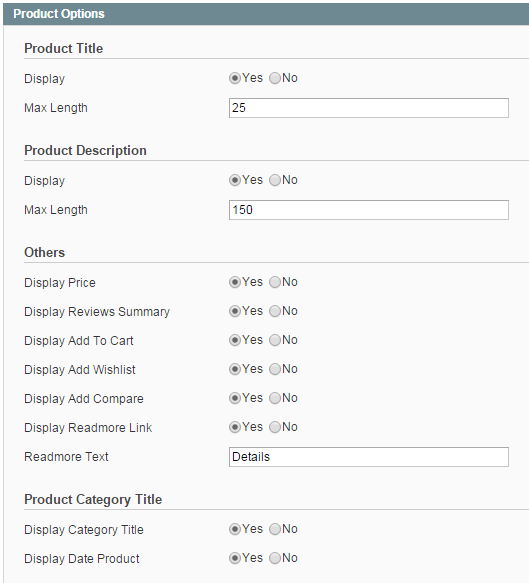 Display Category Title – Allow to display title of category OR not. 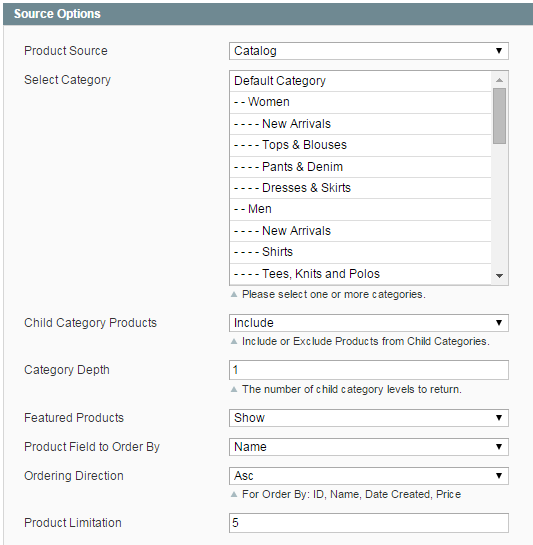 Display Date Product – Allow to display date of product OR not. Priority – Allow to display priority: Video/Image. 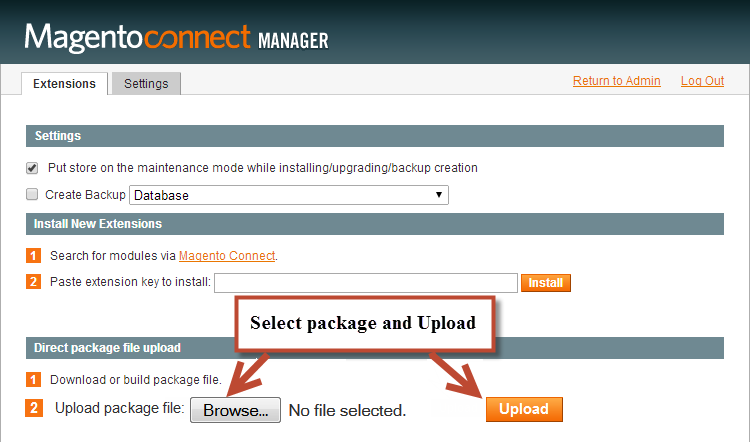 Order to Get – Allow to order to get image with options such as product_image, product_description. Image Width Thumbnail – Allow to set image width of thumbnail. Image Height Thumbnail – Allow to set image height of thumbnail. 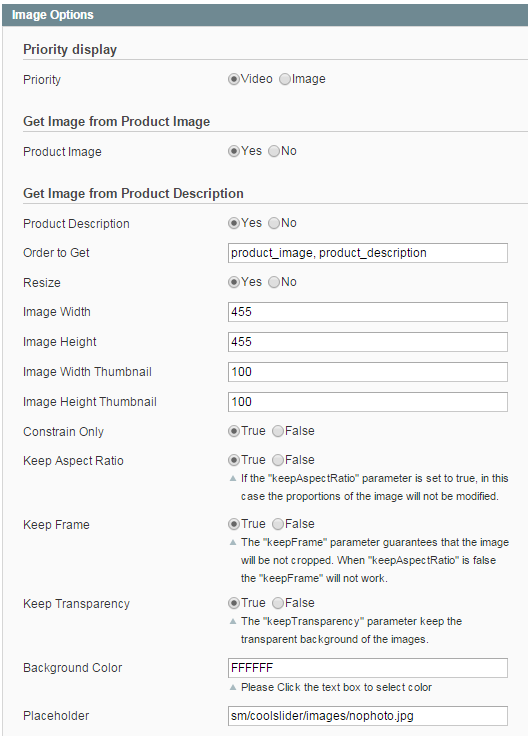 Constrain Only -If the “constrainOnly” parameter is set to true, in this case the images which are smaller than specified value will be not enlarged by Magento. Only border of such images will increase. Pause On Hover – Allow to stop effects when users hover. Effect – Allow to select effect Fade/Slide.